Frequently, upon termination, employers fail to account for the employee’s bonus when providing the employee with a severance package. Typically, employers view the bonus as exempt from what is owed to the employee when giving payment in lieu of notice. However, the courts have been clear that an employee is entitled to receive all compensation and benefits that he or she would have received had they worked during the notice period. So really, the question that should be asked is whether the bonus was an integral component of the employee’s compensation such that he or she would have received a bonus payment had they been allowed to work through the notice period. Recently, this issue was addressed in Bain v UBS, 2016 ONSC 5362. The employee in that case was ultimately awarded a total of $2,596,268.35 which included a bonus payment of $776,246.66. The Plaintiff had worked for UBS Securities Canada Inc. for approximately 14 years. At the time of his termination, the Plaintiff was 45 years old and held the role of Managing Director, Head of Canadian M & A earning a base salary of $385,000 plus bonus and referral fees. The Plaintiff was terminated due to redundancy when the company decided to discontinue the M & A branch in Canada. He was paid only his entitlements under the Employment Standards Act and did not receive a bonus for 2012 or the three months he worked in 2013. The Court concluded that that the appropriate notice period was 18 months, taking into consideration that the Plaintiff had been induced away from the secure position he held at Bank of Nova Scotia for 4 years. The amount awarded in this case as compensation for bonus pay during the notice period was significant: $776,246.66. The Plaintiff had been terminated prior to the date that bonuses were paid out and the company argued that the Plaintiff was not entitled to be paid anything for bonus because it was discretionary and did not form an integral part of the Plaintiff’s remuneration. In reviewing a number of factors, the judge was not able to understand why the company had decided the plaintiff was entitled to nothing for bonus and found the timing of the termination and failure to grant a bonus suspect. An additional argument made by the company, and one we often see in wrongful dismissal matters, was that there were contractual terms limiting bonus payment only to those still employed at the time of the bonus payment date. The Court also rejected this argument and applied the reasoning of an earlier case that found that an employee was still entitled to bonus payment despite the company’s requirement for active employment at the time of the bonus payout. This issue of ‘active employment’ was also dealt with in Paquette v. TeraGo Networks Inc., 2016 ONCA 618. In Paquette, the Ontario Court of Appeal definitively stated that the requirement for active employment does not prevent an employee from receiving compensation for their bonus as part of wrongful dismissal damages. 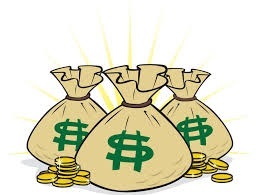 In determining the quantum of the bonus to be paid, the approach used by the Court was to take an average of the bonus amounts received by the Plaintiff’s former colleagues who were still employed with the Defendant. More information about entitlement to bonuses can be found by clicking here. When it comes to bonus payments during the notice period, it is not sufficient for an employer to just refuse to pay the bonus simply because it is discretionary. There is still a requirement for that discretion to be applied fairly. Ultimately, if the decision is made that the bonus will not be paid, the employer should be able to point to a fair identifiable process that was followed. The decision should be made with adequate information regarding company and employee performance and only relevant factors that have been applied consistently from year to year in the past should be considered.